We would like to congratulate everyone who joined in with our Fingerprint Challenge, thank you for the positive feedback we received, we're glad that at least you had fun, and we do apologise for leaving you with inky fingers! The imaginative entries were a delight to behold. Here are the cards we chose for our ShowCASe this week. This watercolour flower looks amazing...who would have thought that it was made with fingerprints! This could have been the illustration from the book itself! Amazing! We just had to choose Gay again this week, her coneflowers are simply wonderful! Here is our ShowCASe badge for you.... with our admiration! It will be Chrissie's birthday tomorrow... but she's not letting on how many candles she'll need! For our theme this week, we're going with Sarah's suggestion of using a song title to trigger your imaginations! You can take any aspect from the title as the starting point for your creation. Rain, weather, music, dancing... let your imagination take flight. Just remember to keep it Clean and Simple, with plenty of white space! I've used a cute little digi-image from Squigglefly. coloured with Promarkers, glossy accents and a Winkette of Stella. to finish I've used Doodlebug sequins and pearls from my stash. PS Thank you to all who entered last week's fingerprint challenge. there were some amazing ideas and I loved looking at them! This is a sweet stamp from Lili of the Valley which I purchased recently and I just love this dear little bear... I think he could do with a pair of wellies. It's coloured with Mirage pens and mounted on Dienamics pierced Stax die-cuts. The sentiment is from Clearly Besotted. 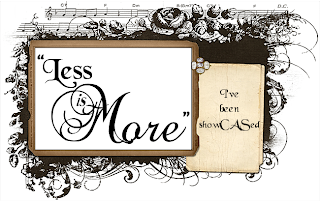 There is another offering on my personal blog! It seems that lots of you had great fun with the finger print challenge last week, we do apologise however, for leaving you all with inky fingers! 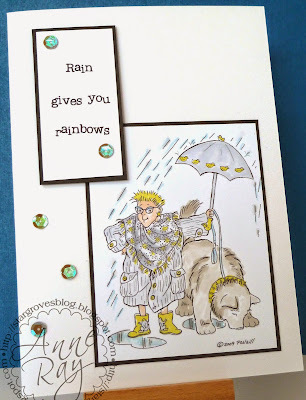 She makes just fabulous cards and contributes to nearly all of our challenges! Get in touch and we'll sort out getting your prize to you. Gay treats us with each and every submission. 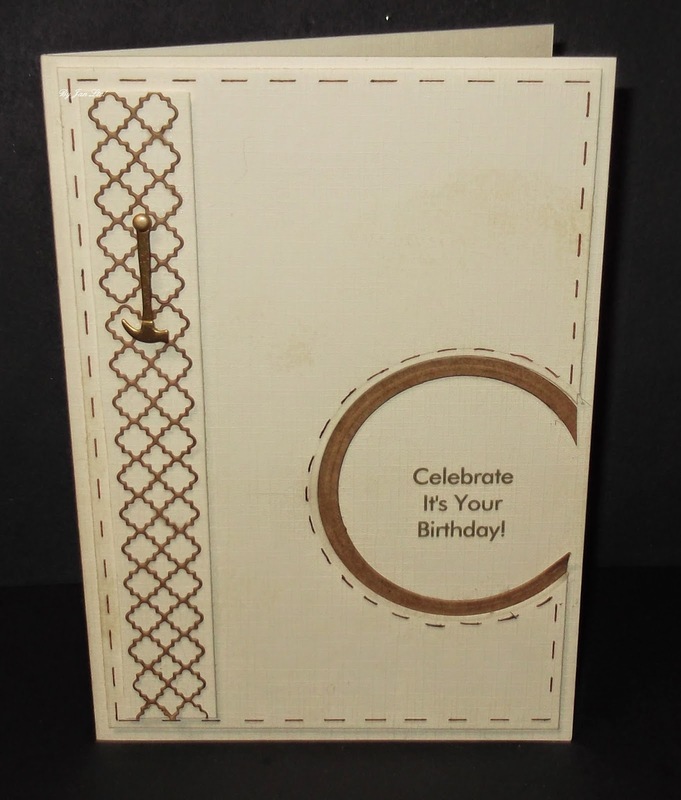 Look at this simply stunning card, we love everything about it! Rosemary has such an eye for style, this is perfect! 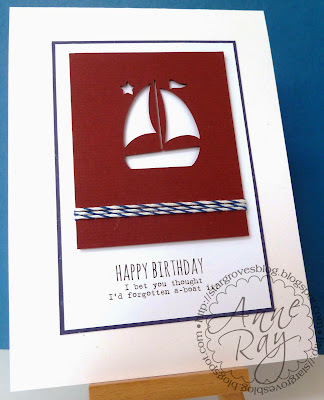 What great stamping and super simplicity! and we hope to see everyone tomorrow for our new challenge! 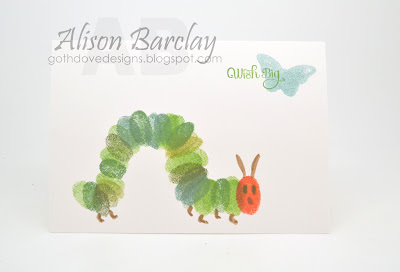 There's a bit of a story behind the making of this card... it was very much a last minute job, as I had merrily been making cards for this week's challenge, forgetting that it was a one layer week! I remembered just before I went out on Friday evening and so had to hastily make this before I went to bed! I stamped the lower part of the card with one of the SU Gorgeous Grunge stamps and clear embossed it. I then inked it with Memento Summer Sky Ink and then used Salty Ocean Distress Ink for the finger fishes (not fish fingers!). The bubbles stamps were from a Rubbernecker Grab Bag from Ally Pally and the sentiment is from The Alley Way Stamps. You can see my mistakes on my personal blog! I had so much fun making this card... 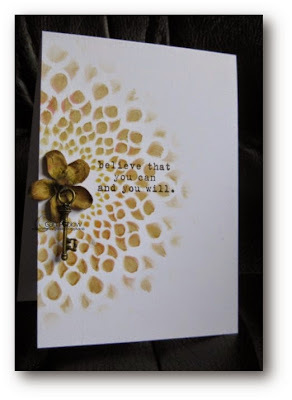 I used espresso truffle memento ink for the fingerprints onto Basic Grey card stock from Stampin Up. (i still look like a suspect now as it won't budge) and then stamped the branch from Love Blossoms and the little leaves from Design A Tree (both Clearly Besotted). For the moon I punched out a circle from scrap card and then used Unicorn White Hero Art ink pad and filled it in with finger prints. 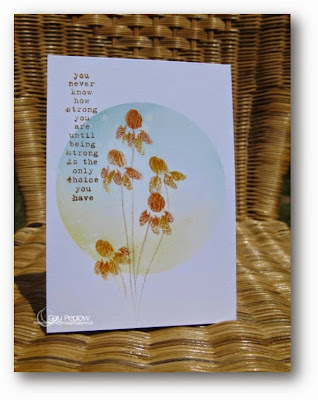 I stamped the outline images using Uniko Studio Flower Power#2 then coloured the petals with my fingerprint using Distress Inks. The sentiment is Clearly Besotted and I've added some Doodlebug sequins then pearls from my stash. Over the years I must have discarded dozens of cards that would fit this challenge - one layer with fingerprints on. Oops there goes another one! 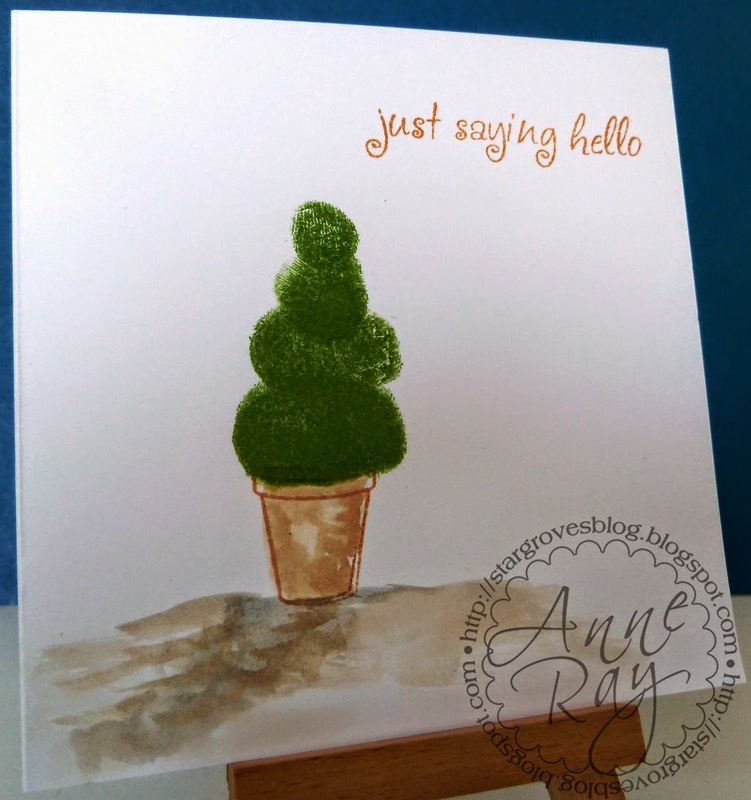 I've used Mown Lawn Distress Ink to make my topiary tree, with less thumb for each layer. 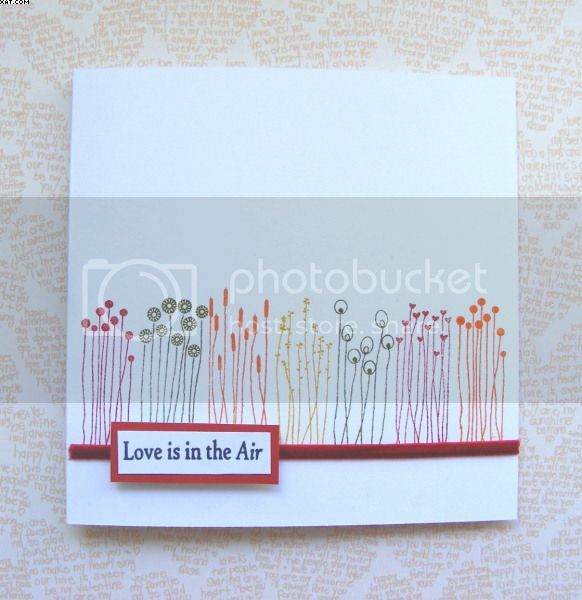 The pot is an Inky Doodles stamp and the sentiment is from Hero Arts. The pot and ground are also coloured with Distress Ink , Vintage Photo and Weathered Wood. 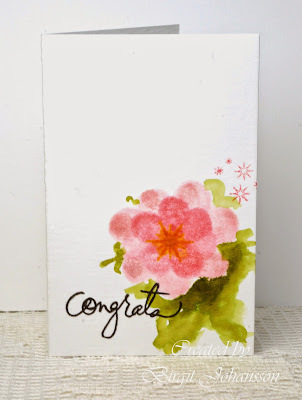 More inky fingerprints on my blog, hope you have as much fun as I did with this challenge. Do join in this fun one... our winner for June will be announced later in the week! 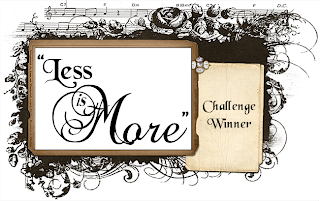 Before we go we must mention our LIMister Sid who has joined us recently but has been the most wonderful commenter on entries to our challenges. He has been tireless in visiting everyone. We all know how much we like to receive a friendly word from visitors to our blogs, so I'm sure you'll join us in saying a big THANK YOU to Sid! It was interesting to see that lots of us are of one mind... we don't like to throw things away! There were some really interesting things which found their way onto last week's submissions. Here is our SHOWCASE for week 178. Sue doesn't like to throw away cards given by her husband... this one had a fab renaissance! What a truly amazing flower made from a Spellbinder packet! Another person who hates the ribbons inside T shirts and dresses...what a great use for it! Please take our ShowCASe badge to display with our thanks! Don't forget to come back tomorrow everyone, for a new challenge and another Guest Designer! is a regular sponsor for us and we are really pleased that she is continuing to support our challenges. Do check out her shop, she has the most amazing range of ribbons, trimmings and embellishments! We are lucky to have another Guest Designer again this week. She is no stranger to you... a huge supporter of our challenges and someone who always visits lots of other entrants to leave a welcome comment. 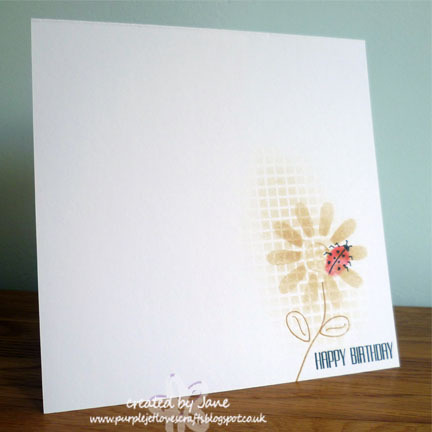 You will find details of this card on her blog, do please pay her a visit to say Hi! and leaf dies are from Marianne Creatables. To add a bit of interest I've adhered some pearls from my stash to the leaves. I've finally given in and succumbed to the stencilling fashion, bought some Sweet Poppy metal stencils at Portsmouth last week and have been really enjoying playing with them! 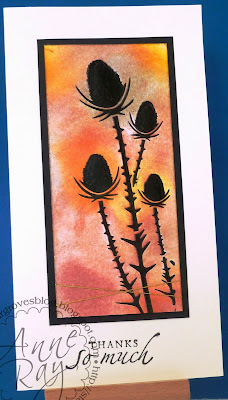 The teasels are a Lavinia Stamps design, I've used glossy black embossing paste for them and used Pan Pastels to create an earthy coloured background. More earthtones and inspiration on my blog. Here is another watercolour, stamped picture made with Art Impressions Stamps. I just used a bunch of Distress Inks, evening out and releasing a little more colour with a brush. The sentiment is from Stamplorations. All mounted on Dienamics pierced Stax shapes. 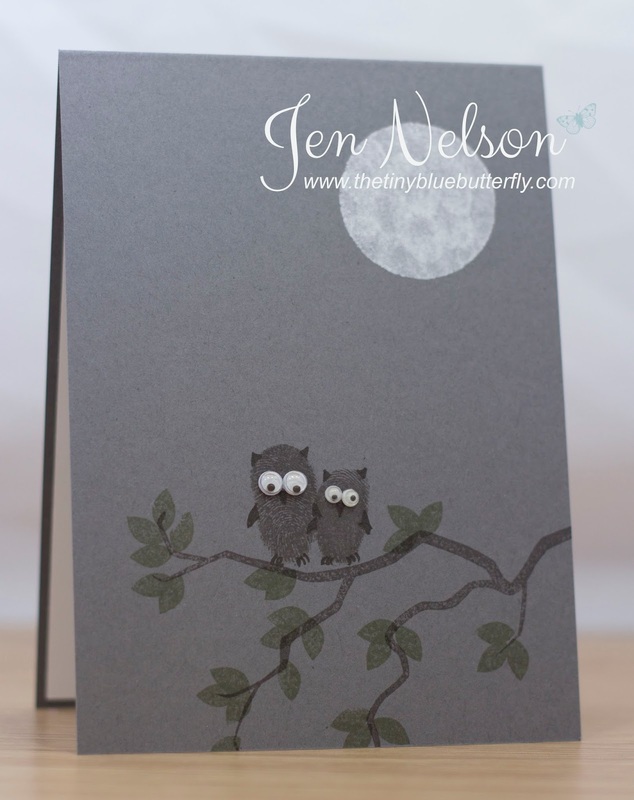 There are some more earth tone cards on my blog. I thought I would make a card in a slightly different style for todays challenge. 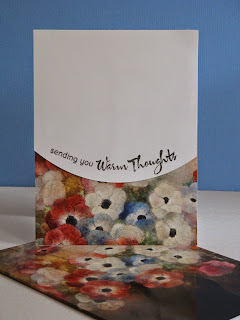 I have used a tag from the new Journal It set out later today from Clearly Besotted Stamps and layered in on an embossing paste background with a few stars and some stitching. Sorry if I did not manage to get to you all this week. My brother got the keys to his house so most of the week has been sorting out stuff ready for yesterdays hectic move. I'm sure that you have been delighted by the diligence of our two new designers Anne and Sarah, who have visited entrants' blogs most meticulously, to leave a friendly comment. I hope you will return the compliment by visiting their blogs too... they always have an extra titbit for you to see there! What fabulous use of Gelatos...amazing! What a wonderful watercolour sky! but couldn't copy her photo from Flickr! She made an amazing humming bird card. Look at this a-maze-ing watercolour background. Ladies, please take the Showcase badge to pop on your blogs. We could have chosen so many cards, so thank you everyone, the standard of entries was stunning! DO come back tomorrow to join us for our new challenge.